Disclosure: I received this book to review through Beck Valley Books Book Tours, all the opinions above are 100% my own. Growing up, I always had a fear of dogs. As a child, we had a dog, but got rid of it because I was that afraid of it. So while I am fortunate to not know what it is like when a pet dies, I can only imagine what will happen when it does happen. 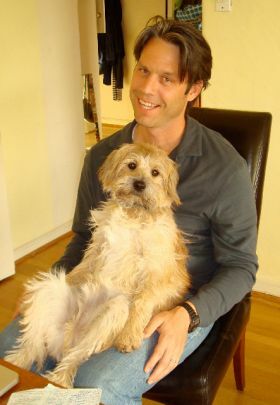 So, after months of grieving over his dearly departed soulmate, Charlie reluctantly agrees to foster a new puppy –– a cute Cavalier King Charles spaniel named Brownie from the local animal shelter. Soon after, Charlie is surprised to find himself falling head over heels with this new puppy girl, his ‘Rebound Dog’, as he calls her –– as well as being romantically attracted to Janelle Jordan, the head hound at the dogrescue. 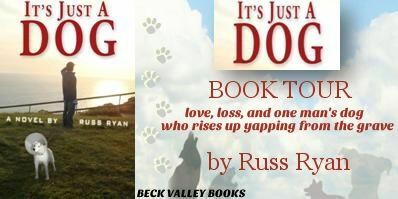 Initially, I was wondering how an entire book could be about a man losing his dog. I mean, really. A whole book? But, when man’s said dead dog returns, the story really begins. It wasn’t comical like I thought it may be. It was actually kind of… I don’t want to say crude, but definitely interesting. I certainly hope my dog doesn’t think of me that way, but at the same time, it definitely gives a new prospective to how a dog may feel or think about their life here on Earth. It really gives a dog’s perspective on life. Additionally, the bond between human and animal is so genuine and unique and this story really displays the love and bond between animal and human in different forms. I finished this book in 24 hours. It was a quick read that I enjoyed. If you are an animal lover, you will enjoy this book (probably more if you are a dog lover, but I believe it could easily translate to any other pet one may have a bond with).